Debenhams' gross sales for the 18 weeks to 5 January fell 5.6% with like-for-like sales down 5.7%. Looking ahead, the group remains on target to hit profit forecasts, but only after identifying another £30m of extra cost savings, taking the total to £80m per annum. The shares fell 15.7% on the morning of the news. Update - at the afternoon's AGM, investors voted against reinstating the group's chairman and CEO to the board. The chairman will be stepping down, while CEO Sergio Bucher will continue to run the company, but will not sit on the board. The decision was driven by two major shareholders, including Mike Ashley's Sports Direct, which owns 30%. 2018 was a dreadful year for Debenhams. The group's sales are falling, even with the trusty old blue cross sale stickers. Not only does that undermine efforts to shift its 'serial discounter' reputation, it's also squeezing margins to wafer thin levels. Another year like the last, and it could easily drop into loss-making territory. To be fair, troubles at John Lewis and House of Fraser show not all of the difficulties are of Debenhams' own making. Nonetheless, that doesn't detract from the fact turning things around is a tough ask. Perhaps the point is best illustrated by the fact Debenhams has decided to take a £117.5m hit to close underperforming stores. With cash flows falling and debt levels looking all the more scary, the group is scrambling around to save the pennies. It hasn't yet been forced to sell the family silver - namely the Danish Magasin du Nord business, but the dividend has gone, operational cost savings are being prioritised and spending on store refits and maintenance is also getting wound back in. Savings are obviously sensible where you can get them, but the scope of the spending cuts means one has to wonder what the future holds for the 20 stores Debenhams has earmarked for a 'low-cost' approach. It's not all about closures and cost savings though. Debenhams's wider strategy calls for a revamped store format and tacking restaurants and gyms onto existing stores to fill unused space. Sub-letting excess space is worth a go as a short term fix but we have our reservations. Browsing for cardigans and pumping iron don't really go hand-in-hand. Impressive growth in online sales brings some positive news. Around £1 in every £5 now comes from online purchases. Under pressure CEO Sergio Bucher knows a thing or two about growing this part of the business, having been recruited from a senior position at Amazon. But after being booted off the board, uncertainty around his tenure is growing. The challenges facing the group are great, and look all the more acute in the current economic environment. Earnings forecasts have been tumbling, and the shares are among the most shorted on the stock market. The UK trading environment remains challenging, with like-for-like sales falling 3.6% in the 6 weeks around Christmas and by 6.2% over the full 18 week period as declining in-store sales more than offset a 4.6% rise online. LFL sales fell 3.5% in the International business over the 18 weeks. With customers searching harder for bargains, Debenhams has had to increased promotional activity, and says first half margins are likely to suffer as a result. 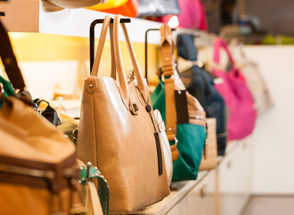 The 9 stores trading in new design format have outperformed the core chain, with the group also highlighting more positive news in Beauty and Womenswear. Net debt as at 5 January was £286m, within the context of the total committed debt facilities of £520m. However, the group needs to refinance obligations in the next 12 months. Discussions with lenders are ongoing, with asset disposals on ice until talks have concluded.